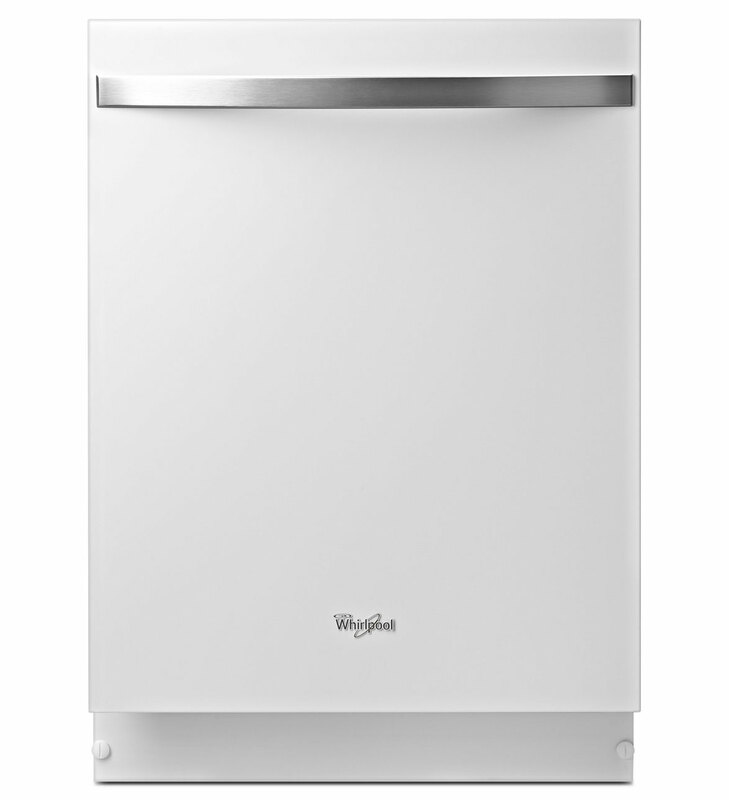 Be on the lookout for the new Ice Collection from Whirlpool. 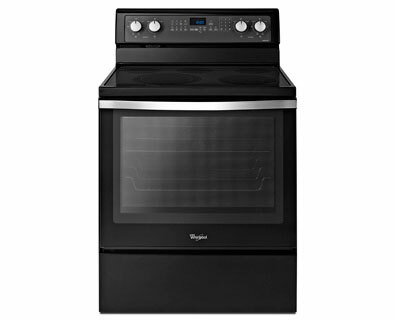 This new streamlined collection of kitchen appliances will include refrigerators, wall ovens, ranges, and dishwashers. White Ice and Black Ice are the finish choices. As best I can tell, Whirlpool doesn’t list the new appliances as an actual collection on their website so it’s best to do a search by finish. The new sleek appliances have cleaner lines and are unified by an arched stainless handle. This new series could be a solution to a problem many remodelers face when looking at professional-grade appliances that bust their budget. 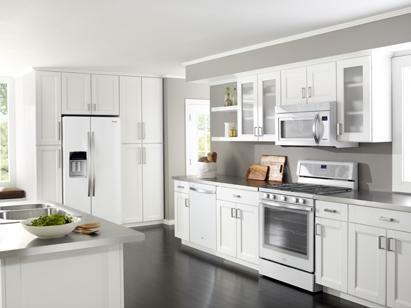 If your goal is to find appliances that look clean and sharp and you don’t need extra cooking power, the Ice Collection may be the solution you need. Here’s a little update on some of things I have been doing. Ask Ann: Read about Remodeling Magazine’s Cost vs. Value Report 2008-09. Despite the down market, maintenance-related projects and moderately priced upgrades are providing stable paybacks to homeowners. KB+B Online: With so many materials and styles to choose from, selecting the best backsplash can be confusing. Read about the many material choices and their pros and cons. 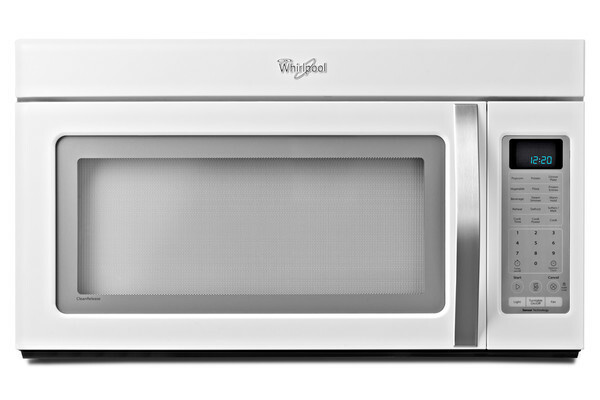 Gold Notes: Read about new appliance trends for 2009. 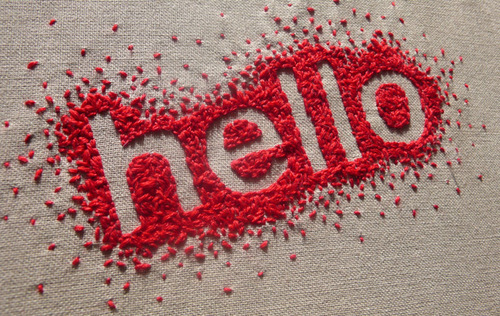 Sneak Peak: I have a new page up that will give my online readers a sneak peak at my new kitchen and bath studio. It’s been a long time coming so I am very excited.